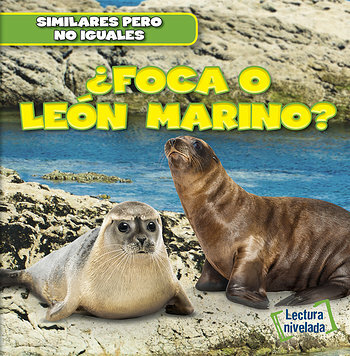 What's the difference between a seal and a sea lion? These "second cousins" of the sea look similar, but there are many ways to tell these creatures apart. From ear shape to the noises they make to communicate, seals and sea lions are amazing creatures with both shared features and many truly unique attributes. They both share an ocean habitat, but when readers take a closer look, it's easy to discover how they each fight off predators, mate, and raise their young in different ways. Captivating full-color photographs help to bring these marvelous mammals to vivid life.